I regret that I wasn’t able to post on November 11. If so I would have borrowed Dan Waddell’s post from that day on the Murder Is Everywhere blog (www.murderiseverywhere.blogspot.com). 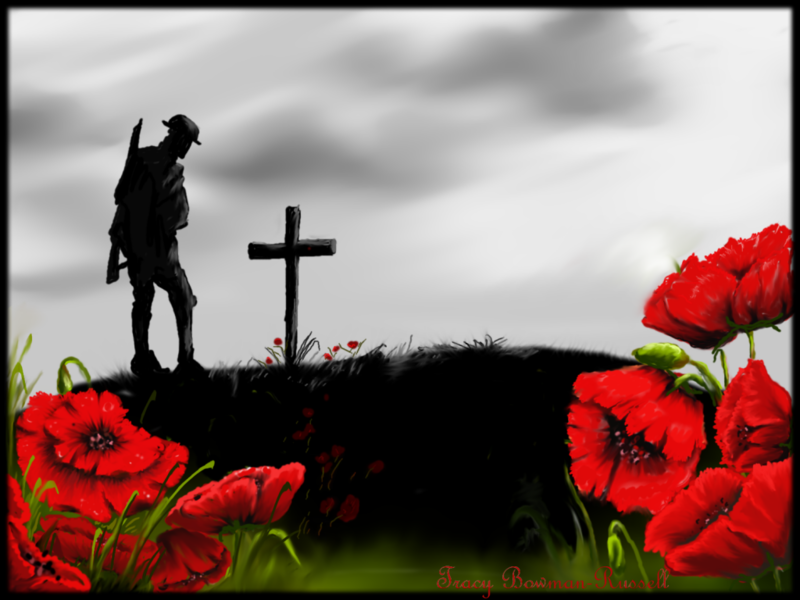 Dan opens his post with the lines from “In Flanders Fields” by John McRae, a poignant and sad message from the dead of World War I to the living. This was the war to end all wars and, a scarce twenty years later, a greater war would begin. The loss of life in the first world war was tragic, made more so in that there was no great principle that was being defended. It was touched off by the assassination of Franz Ferdinand, a member of the family that ruled the Austro-Hungarian empire. When it ended, the German, Austro-Hungarian, and Russian empires would be gone, leaving an enormous part of Europe open for the taking by political philosophies that were worse than what they replaced. When I was teaching history on the secondary level, I had the freedom to use a brilliant book by Robert Massie, NICHOLAS AND ALEXANDRA, as a way to engage students about the WW I period and the Russian revolution. 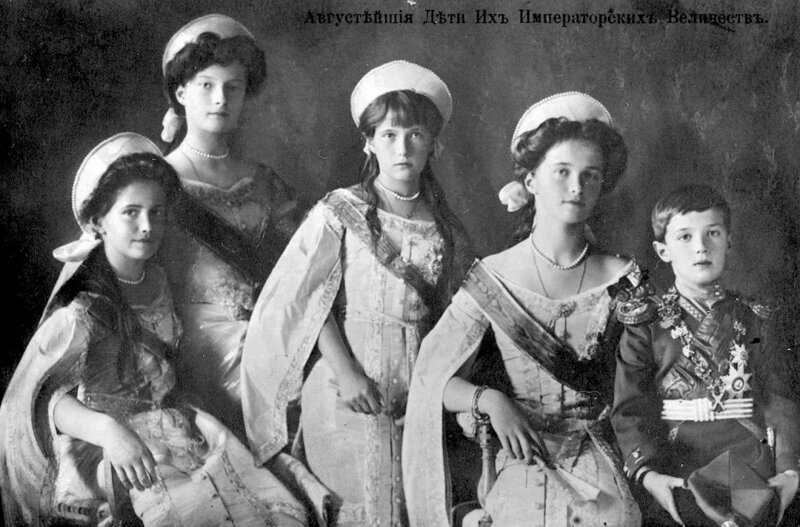 For decades, the world was fascinated by the almost-fairy-tale possibility that the Grand Duchess Anastasia, the daughter of Nicholas and Alexandra, might have survived the murder of the royal family. Anna Anderson, who claimed to be Anastasia. made it onto the news at frequent intervals. The book was perfect for engaging the interest of high school girls. They concluded that the Russian revolution might not have happened if Nicholas and Alexandra hadn’t been in love. If he didn’t love her, he would have thrown Rasputin out of the palace giving him more time to notice that his empire was falling apart all around him. Nicholas and Alexandra had four beautiful daughters, Olga, Marie, Tatiana, and Anastasia, before the birth of the longed for son. Alexei was, at first, a healthy boy, but before long the parents and the doctors realized that there was something seriously wrong with the tiny Grand Duke. Alexandra was a granddaughter of Queen Victoria and she had inherited from her the gene that causes hemophilia. Because hemophilia is passed from mother to son, Alexandra overwhelmed by guilt for the suffering that gene had inflicted on her son. The danger to hemophiliacs did not lie in a cut; a bruise was cause for panic. It was the internal bleeding that could cause death. Alexandra was desperate for someway to protect her son and she believed she found an answer to her prayers when a friend told her about Rasputin, a holy man who had a powerful gift for healing. Rasputin was a monk; he was from the peasant class, dirty, crude, and smart enough to know that he had landed in a bed of roses when Alexandra became convinced that Rasputin was the key to keeping Alexei alive. There was not doubt that Alexei became much better when Rasputin was around. The “how did he do it” question has been contemplated for decades and a reasonable answer is that Rasputin hypnotized the boy and, in that calm state, the body was able to marshall its own defenses. The Russian nobility was horrified that this man was closer to the royal family than anyone and they wanted the tsar to order him from the palace. But Nicholas knew that Alexandra could only manage some degree of equanimity when the monk was nearby. Neither Nicholas nor Alexandra realized that there were rumors spreading throughout the empire that Rasputin had a sexual hold on Alexandra and that Nicholas allowed it. As Kipling wrote in “The Man Who Would Be King”, autocrats can only maintain their power when their subjects forget that they ar men just like every other man. Once the curtain has been rent, the mystique is gone and anything and everything is possible. 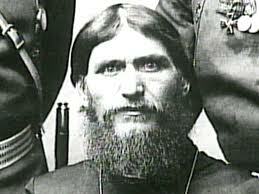 Some of the younger members of the royal family, especially Prince Felix Yusupov, decided that Rasputin had to be killed. Yusupov and his colleagues purchased enough cyanide to kill five men. Yusupov invited Rasputin to his home where he served wine and cake. Rasputin collapsed leaving Yusupov convinced that the poison had done its job. A few hours later, Yusupov went to check on the body. Rasputin was waiting and nearly killed Yusupov by strangling. If his friends were not near by, the killer would have been the killed. For their next attempt, the royals shot Rasputin three times. They bound his body, wrapped it in a carpet and threw him into a nearly frozen river. His body was found three days later. It was not wrapped or bound. Rasputin had managed to free himself but got caught in the ice. The cause of death was drowning. Alexandra was terrified, convinced that Alexei would soon die. She was correct but for the wrong reason. As the war ended, the red and white armies in Russia were vying for control of the country and of the royal family. The whites were willing to allow the family to go to England; the reds needed them dead so that there could be no attempt to return them to the throne. The reds got to them first and the family was brought to Yekaterinburg. The reds realized that the white army was getting close so they executed the family. The bodies were thrown into a mine shaft where they were discovered in the early 1990’s. The Russian Revolution was inevitable. Nicholas II knew very little about the enormous country he ruled. He knew nothing about the people, their lives, the poverty, and the corruption of the nobility that had kept most of the population in serfdom. Perhaps the family would not have been killed if Rasputin had not had such a hold on Alexandra. Certainly, both parents were consumed with worry about their son and Alexei’s illness may will have played a role in the end of the monarchy. NICHOLAS AND ALEXANDRA is one of the best non-fiction books I have read. I am looking forward to Robert Massie’s most recent book about Catherine the Great. Massie has a gift, as demonstrated in NICHOLAS AND ALEXANDRA, for bringing humanity to people who are nearly icons. Nicholas, Alexandra, Kaiser Wilhelm II, and King George V of England were first cousins, all grandchildren of Queen Victoria. 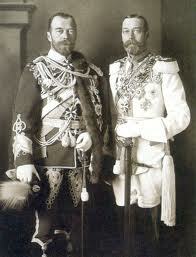 Nicholas and George V looked enough alike to be twins. At the end of World War I, the British monarchy was the only one still in place. This entry was posted in Uncategorized and tagged alexandra, alexei, anastasia, flanders fields, nicholas, rasputin, robert massie, russian revolution, world war I. Bookmark the permalink. 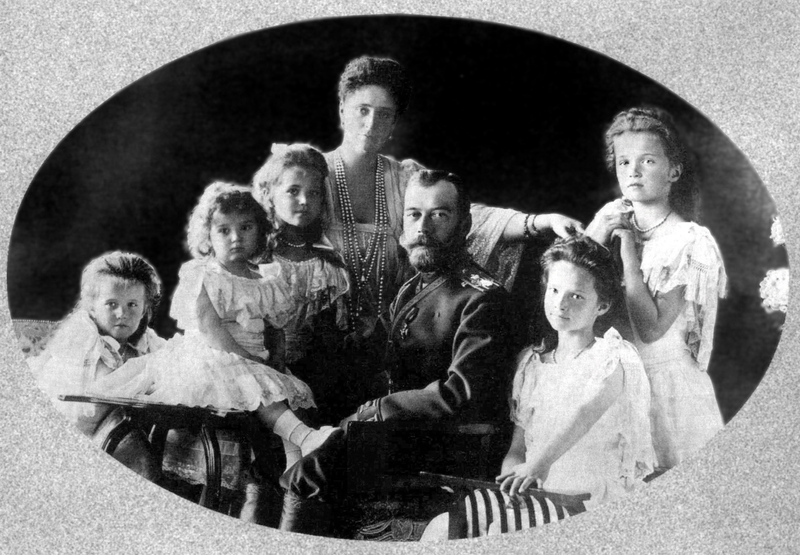 The story about the Russian emperor and his family is so fascinating. Small wonder it has been used in several novels. One I really enjoyed was Dorothy Sayers´ Have His Carcase. The story about the end of the Romanovs is sad. The Tsar was not expected to know anything about the people or the country he ruled. Alexandra was so consumed by her son’s illness, that she only participated in the life of the court under duress. That led her to be considered a snob. That she was German didn’t help her cause either. The children were innocent victims; they knew nothing beyond the life of the palace. Welcome to MURDER BY TYPE, a place to discuss mysteries and authors and the things that draw us to our favorite books. Is it location? Is it the type of protagonist? I am drawn to police procedurals and books with private or amateur investigators. Unfamiliar locations carry the plus of teaching about cultures and customs. Favorite authors include Leighton Gage, Timothy Hallinan, Cara Black, Yrsa Sigurdardottir, Michael Stanley, Dan Waddell, Donna Leon, Libby Fischer Hellman, Martha Grimes, Kathy Reichs and the list goes on and on.